A drama set during World War II where a submarine carrying a secret weapon attempts to stop a planned third atomic bombing of Japan. Based on Harutoshi Fukui's novel Shuusen no Lorelei. Anno, Higuchi Team For Japanese "Godzilla"
What to Watch Sunday: Homeland, Dexter, The Good Wife and 10 Other Premieres — Whew! 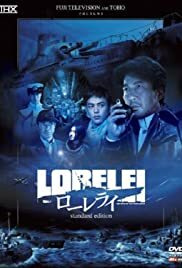 Lorelei can best be described as a Japanese version of "Das Boot" with a supernatural storyline thrown in. The setting is the last week of WWII, Hiroshima having just been bombed. A Japanese veteran captain is given command of a German-surplus submarine with a secret weapon, the "Lorelei System". As viewers of Japanese movies will know, scenes with English-speaking characters usually end up very awkward, with the English-speakers often being cheap local "talent" grabbed off the street, in most cases with very questionable English credentials. But this movie was just about on-par with the classic Tora Tora Tora, using professional Hollywood and local English-speaking actors that portray their roles to near perfection, making the whole movie flow smoothly. 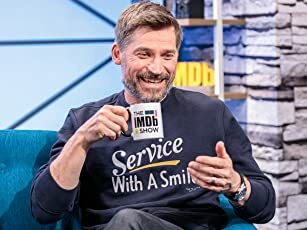 Without giving away spoilers, it's difficult to review this movie. But the advancement of computer graphics has made for some really visually stunning submarine battle action. If anything, the surface vessels come across as being a bit lifeless, as the effort was spent on the underwater sequences. At 140 minutes the movie is long, and by western standards probably somewhat talky, but there is a lot of political maneuvering going on in this movie, plus the diverting from history as we know it, that requires the additional dialogue. All actors put in very decent performances, the soundtrack is fittingly orchestrated and the cinematography excellent. While not being the classic that "Das Boot" was, this movie is very enjoyable, and with subtitles could potentially get a decent western cult following.